It was a short sentence, but it had many aspects attached to it. The feeling of a great loss, sweet memories of so many stories, dramas and plays, of colourful travelogues, funny incidents, thought-provoking quotes of Sufis and other baabay (mystics); nostalgic recollections of a life well spent, and fully lived. So much came to mind and passed like a breeze, leaving me numb and motionless for some time. How do you react to such news? Ashfaq Ahmed was not my relative. I did not know him on a personal level. I had never even met him and yet the feeling of great loss and mind-numbing pain seeped into my soul on hearing about his demise. I did not know why I felt like this, but like many other Pakistani Urdu writers, his words were my link to his soul – his personality. The characters he had created through his works were as real to me as they must have been to him, and through this abstract connection, Ashfaq sahib and I were no longer strangers. While reading his dramas and books, one question always came to my mind; they say that every good writer creates characters as a reflection of himself, and so I always wondered which of his characters were reflections of his own self. Was it Talqeen Shah, one of the most famous radio programme characters in Pakistan? Or was it the Mohammed Hussain Dakia from the spiritual classic Manchalay Ka Sauda? Or was he simply the ‘greatest husband in the world’ as Bano Qudsia said so many times? Towards his end, I believe he could also have been the famous “Baba” he used to refer to so dearly in almost all his conversations, especially in Baithak and Zavia. Today when I see Manchalay ka Sauda, his words come to my mind as I really do believe that this drama came much before its time; and those who have seen it would know what I am talking about. Ashfaq sahib was definitely one such personality who, even after having departed from this world nine years ago, will always be “too alive” in our hearts, minds and memories. May Allah (SWT) bless his soul. Secondly you can find DVD of “Manchalay ka Sauda”….that was one of his iconic dramas. It came during General Zia’s time and due to its reference and theme of Sufism and Metaphysics, it was taken off-air midway. Very few people actually watched or liked that drama at the time it was released but later it turned into a cult classic and even to this day , several students of Sufism and Tasawuff read and watch that drama in order to understand the core of Sufism and the journey of “saalik” (the student of sufism)..
Thirdly, you can also enjoy his “ek mohabbat sau afsanay” and “ek mohabbat sau dramay” in books as well as CDs of dramas….they are fascinating …My email is already given on this blog. if you click “Email Me” option i will get your mail directly. Ashfaque Ahmed is not a just literary legend, but a motivator and reformer as well. In our society where Urdu reading is scarce, people do not know much about him. His work like Baba Saheba and many of such has great source of inspiration. it is because that article is about work of a positive and good personality.,of an optimist,,u can say!!! Who has beautiful wisdom to answer little,tangled problems of common man in a convincing manner.!!! 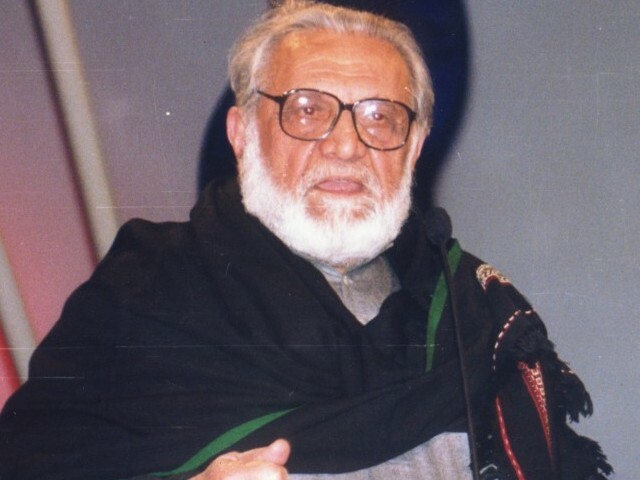 Ashfaq Ahmad is physically not present but through his books as a writer and a character is still live in us bcz the words which have been written show the presence when ever and any where read,tell and daramaised.